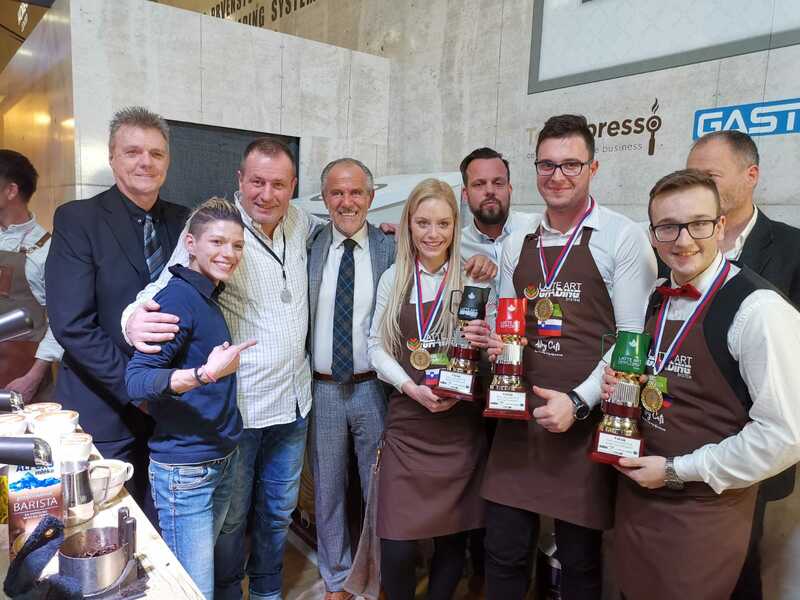 LJUBLJANA, Slovenia – On February the 1st, the Slovenia Lags Battle was held at The Gastexpo in Lubljana; it is a competition exclusively dedicated to the world of latte art, which will merge in the World championships at the 2019 Host Exhibition in Milan. The number of competitors was very high in this Lags (Latte Art Grading System) battle: 26 challengers split among the 3 higher categories, the Green, the Red and the Black one. The competitors will challenge each other with latte art on the patterns of their category. The throwing of a die to decide who will challenge and then the realization of the pattern with milk and coffee under the watchful eye of 2 judges who, at the end, will decide what will be the best execution. The two judges of the TOPESPRESSO event were captained by the veteran LUIGI LUPI “Judge Supervisor”, flanked by Manuela Fensore, at the moment the only holder in the world of the Gold Grading Level. The role of the judges, at the end of each realization, was that of decreeing the winner of the challenge. That’s why the LAGS international countries are called to organize a Lags Battle in their country. As a matter of fact, the 2019 World Championships at Host will be a unique opportunity for professionals in the Latte Art sector who will have the opportunity to test themselves and participate in a unique event!